Washington is arguably the most beautiful state in the entire USA, what with its mountain ranges, deep fjords, temperate rainforests and Pacific coastline. The entire Cascade Range runs through the state, dissecting it to the east and west, with the east being dryer and flatter and the west being home to mountains, volcanoes and forests. Amongst the mountains, the forest, the flatlands and the highlands are numerous picturesque lakes. Many of these are a must on any tourist’s to-do. These are the 15 best lakes in Washington. The second largest natural lake in the state, Lake Washington acts as the border between the cities of Seattle and Bellevue. It also happens to be home to the world’s longest floating bridge! The lake is named after George Washington and was named just one year after the state was named. It is a total of 8,800 hectares, with its shoreline being home to cities and towns, including Seattle, Bellevue, Kirkland, Beaux Arts Village and Renton. Many of the cities and towns surrounding the lake boast lakefront parks where people can enjoy a picnic or a walk along a shoreline path. Mercer Island sits within the lake and its Luther Burbank Park has a swimming area, barbeques and a fishing pier. This long narrow lake is the largest natural lake in Washington. It sits in the slopes of the North Cascades National Park at an elevation of 340 metres. At 144 metres, Lake Chelan is the third deepest lake in the USA! This makes it a popular spot for catching bull trout, largescale sucker, Northern pikeminnow, Mountain whitefish and other species that are native to the lake. 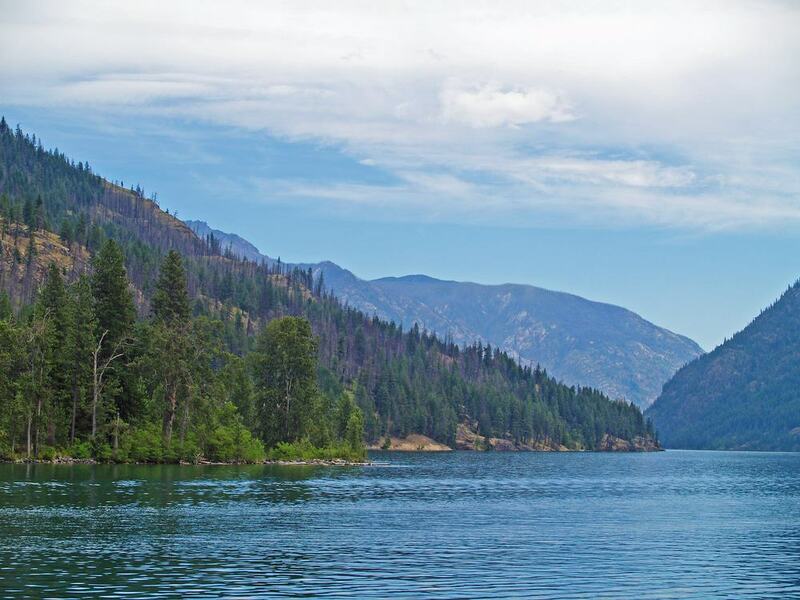 Lake Chelan is almost completely surrounded by recreation areas and parks. The Lake Chelan National Recreation Area sits at the north end, Lake Chelan State Park is at the south end and the Wenatchee National Forest is on either side of the lake. 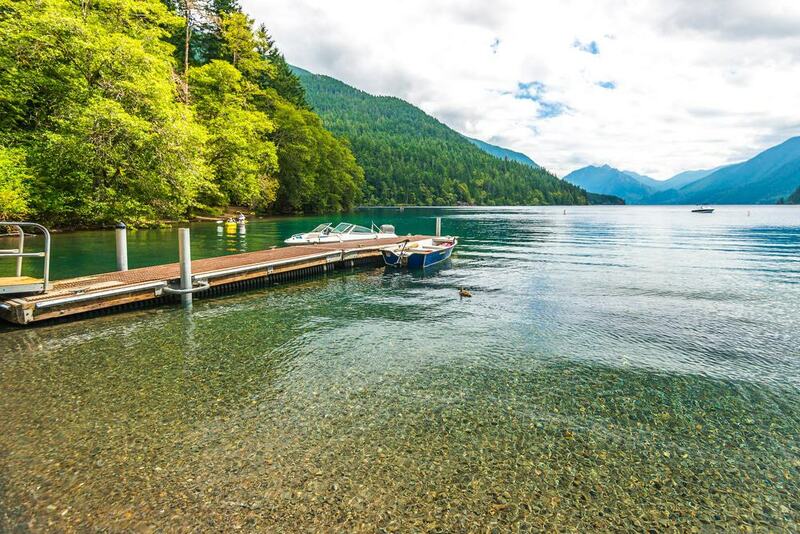 Lake Crescent is a stunning lake that is nestled in the foothills of the Olympic Mountains. The lake is known for its magnificent blue waters and brilliant clarity. The 2,100 hectare lake sits within a popular recreational area that is home to the Spruce Railroad and Pyramid Mountain trails, as well as Marymere Falls. There are also a few swimming and diving areas, like ‘Devils Punch Bowl’. In addition to hiking and swimming, many come to Lake Crescent to go fishing, kayaking and sailing. It is also a great place to go camping, with camping grounds being found on the west side of the lake. 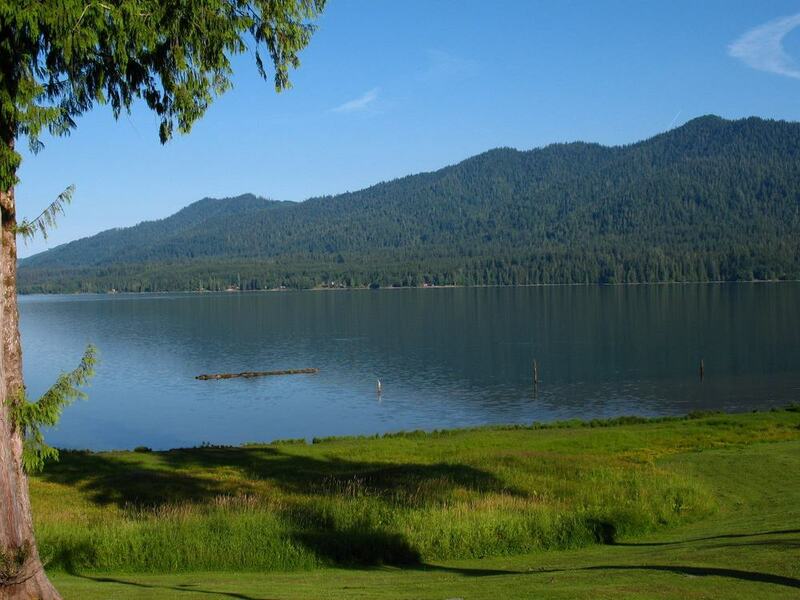 Lake Quinault is located on the Olympic Peninsula within the Quinault Rain Forest. It sits on the western edge of the Olympic National Park and is owned by the Quinault Indian Nation. The drive around the 48 kilometre loop that encircles the lake is truly phenomenal. There are also some hiking trails along the shoreline and its amazing surrounding rainforest. The historic Lake Quinault Lodge sits at the south side of the lake and is still running today. There are also other lodges around the lake, as well as a few camping grounds. Sitting in the North Cascade Mountains at an elevation of 366 metres, the surroundings of Diablo Lake make it jaw-dropping stunning. The lake was created by the Diablo Dam and is sandwiched between Ross Lake and Gorge Lake. The lake is known for its designated National Recreation Trail; the Diablo Lake Trail. The 6.12 kilometre trail runs along the north shoreline of the lake. 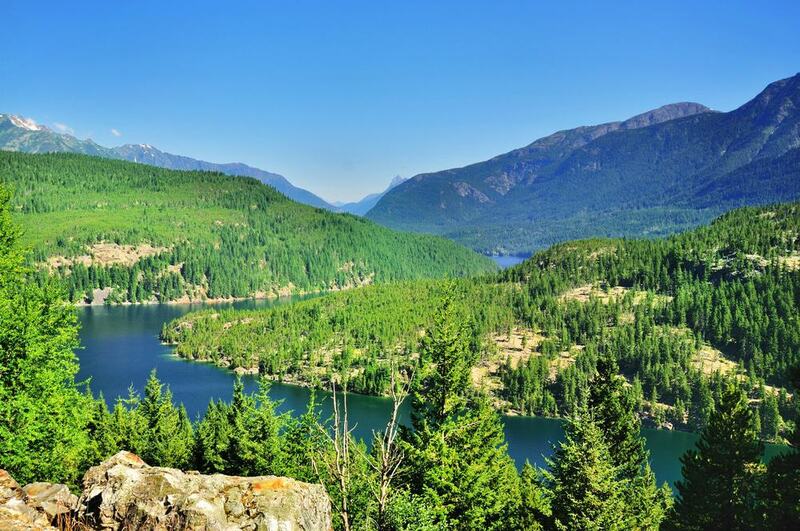 The Ross Lake National Recreation Area encircles the lake and provides access to it. In addition to being mesmerised by its beauty, visitors also come to go canoeing, kayaking and fishing. Located just northeast of Diablo Lake, Ross Lake stretches right into neighbouring British Columbia, Canada. It is higher than Diablo Lake, at 489 metres above sea level, and just as magnificent. The lake is within the Ross Lake National Recreation Area, while the North Cascades National Park is on the west and south of it. There are numerous high peaks surrounding the lake, making for fantastic pictures. 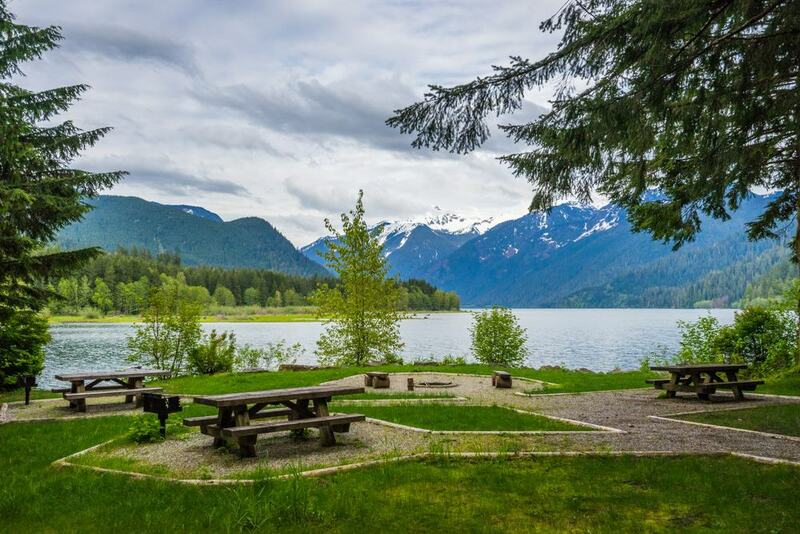 Ross Lake is a major recreational area, offering canoeing, kayaking and fishing. The lake is also home to a floating resort, which is a must if visiting in the warmer months. 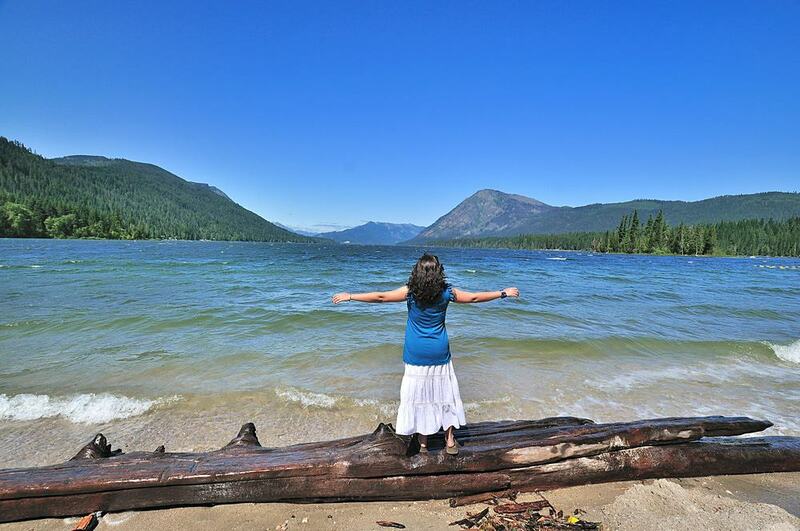 Lake Wenatchee sits on the eastern slopes of the Cascades Mountain Range in the Wenatchee National Forest. The 198 hectare lake was formed by the melting of glaciers and snow. Lake Wenatchee State Park is on the eastern end of the lake and provides access to it. Water-skiing, kayaking, windsurfing and swimming are all offered, as is hiking, cycling and rock climbing. Visit the lake in the winter and enjoy cross-country skiing, snowmobiling, dog sledding and ice climbing. The campgrounds are closed in the winter, but other public facilities stay open year round. It is pretty obvious that this lake was named after former President Franklin D. Roosevelt, who was in fact president when it was created. The lake was formed in 1941 with the damming of the Columbia River. Franklin D. Roosevelt Lake stretches for around 240 kilometres and boasts a 970 kilometre shoreline. The Lake Roosevelt National Recreation Area surrounds the entire lake. Fishing, boating, canoeing and swimming are all offered at the lake, as is camping. 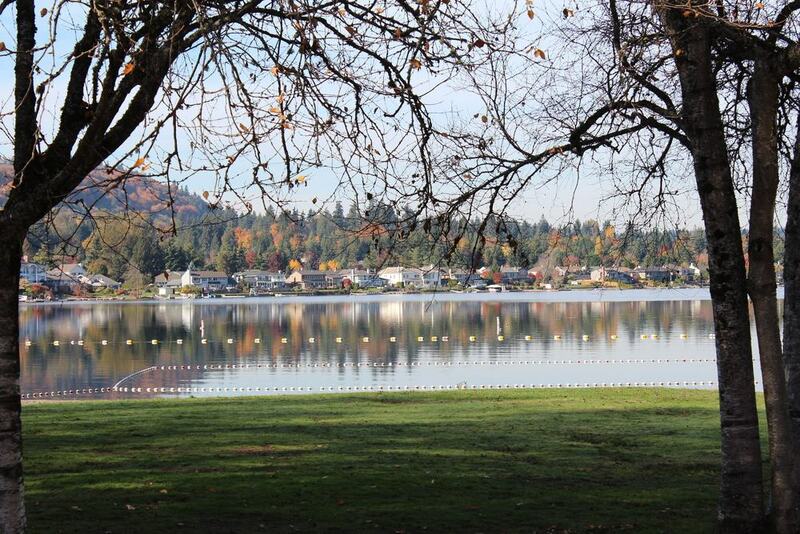 In fact, there are over 500 camp sites around the lake and they are open all year! Kachess Lake sits along the Kachess River in the Cascade Range. 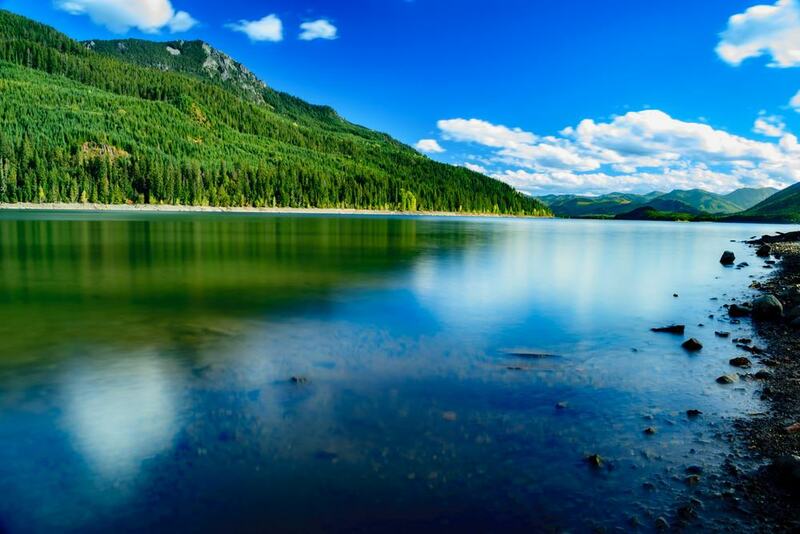 It is sandwiched between Cle Elum Lake and Keechelus Lake at an elevation of 687 metres. The lake is a natural lake, although it is used to store water for the area. The Kachess Lake Shore trail runs along the west shoreline and offers spectacular views of the lake and its surrounding mountains. The name Kachess comes from an Indian term that means ‘more fish’, making it a great fishing spot. There are boat launches around the lake, and you can also stay the night in one of the camp sites. This 1,980 hectare freshwater lake sits on the eastern limits of the city of Bellevue. Lake Sammamish State Park sits at the very south end of the lake. The state park boasts two beaches that offer swimming, kayaking, boarding and of course sunbathing. There are also hiking trials, picnic areas and baseball fields. 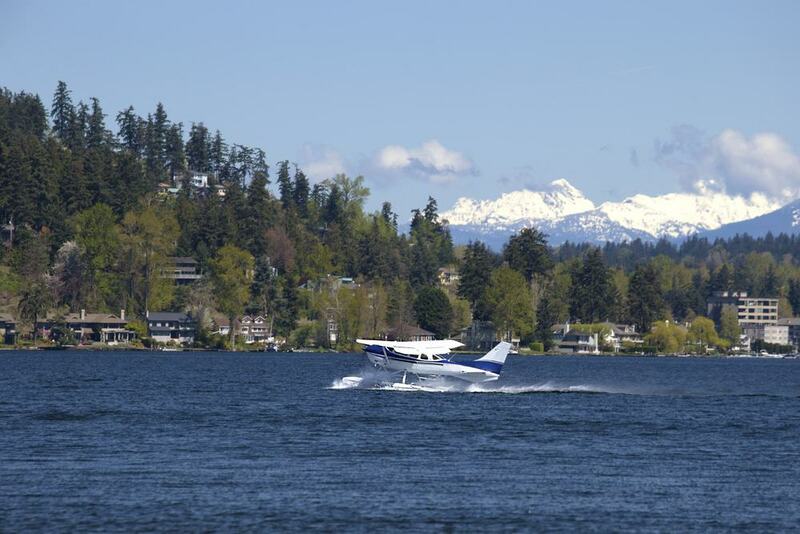 In recent years, Lake Sammamish’ surroundings have become one of the most highly developed areas in in the Greater Seattle Metropolitan Area. But this shouldn’t discourage anyone from visiting, as it is a beautiful lake. Banks Lake sits in the northern portion of the Grand Coulee in the Columbia River Plateau. It is not in the mountains, but in one of eastern Washington’s canyons. The 10,880 hectare lake was formed by the Missoula Floods over 13,000 years ago. 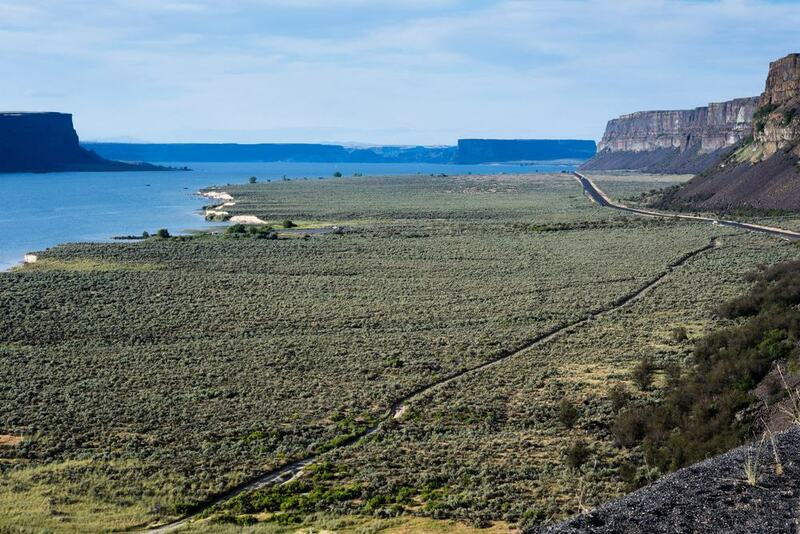 It is bounded by the Dry Falls Dam and North Dam. On the northeast shoreline of the lake is the Steamboat Rock State Park. The park features boat ramps, a swimming area, water-skiing, hiking and camping. Baker Lake is situated in the Mount Baker-Snoqualmie National Forest at an elevation of 215 metres. One of the most impressive things about the lake are the views that can be seen of of Mount Baker. The 1,900 hectare lake is a popular place for recreational activities like boating, fishing and camping. There are around 55 campsites that are good for both tents and motorhomes. Along the east shoreline of the lake is the Baker Lake Trailhead that offers both hiking and horseback riding. Each year in October the trail holds a marathon. 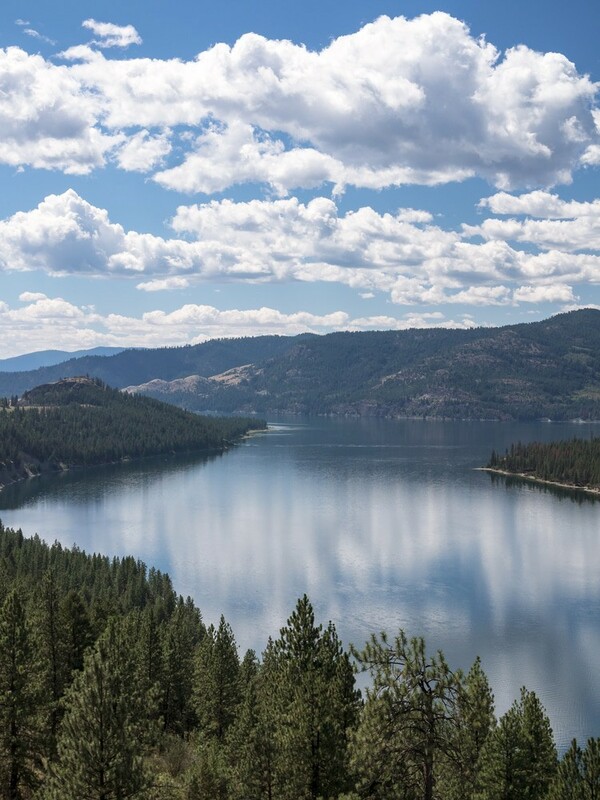 The centrepiece of the Alta Lake State Park, Alta Lake is a popular spot for swimming, sailboarding, boating and fishing. There is also a golf course along the shoreline; the Alta Lake Golf Course. Alta Lake is a publicly owned lake that sits just east of the mountains. The surrounding scenery is spectacular, and even better if staying overnight at one of the many campsites. There are two boat ramps that offer public access to the lake, though personal-watercrafts can only be used between 9am and 6pm. Picnic areas are also available in the Alta Lake State Park on a first-come, first-served basis. 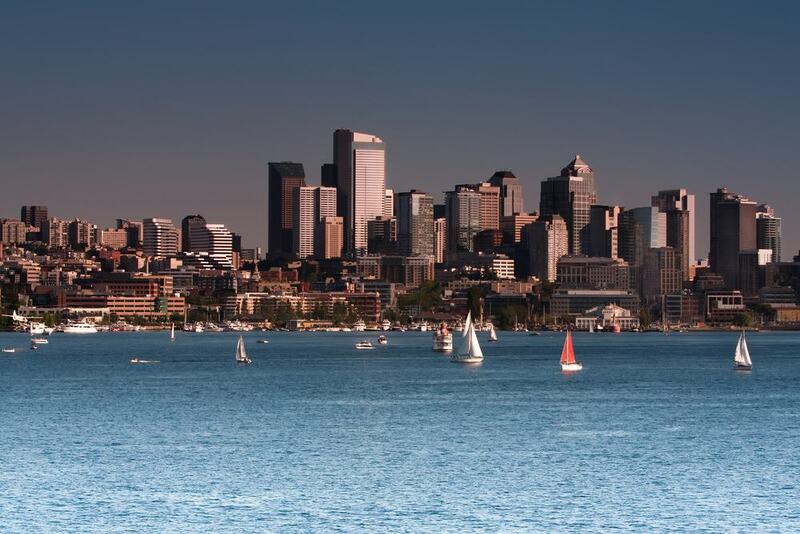 Lake Union is a freshwater lake that sits in the city of Seattle. There are several neighbourhoods surrounding the lake, as well as numerous parks. Gas Works Park sits at the northern end of the lake, which is the largest and the most popular not only for locals, but also tourists. The park is part of a former coal gasification plant and hosts many events, including the Fourth of July fireworks show. Lake Union is home to several rowing centres and two seaplane bases. There are also floating homes along the east and west sides of the lake. This 1,620 hectare lake sits on the north branch of the Skokomish River. The Olympic National Forest is just above it, creating some imposing views. 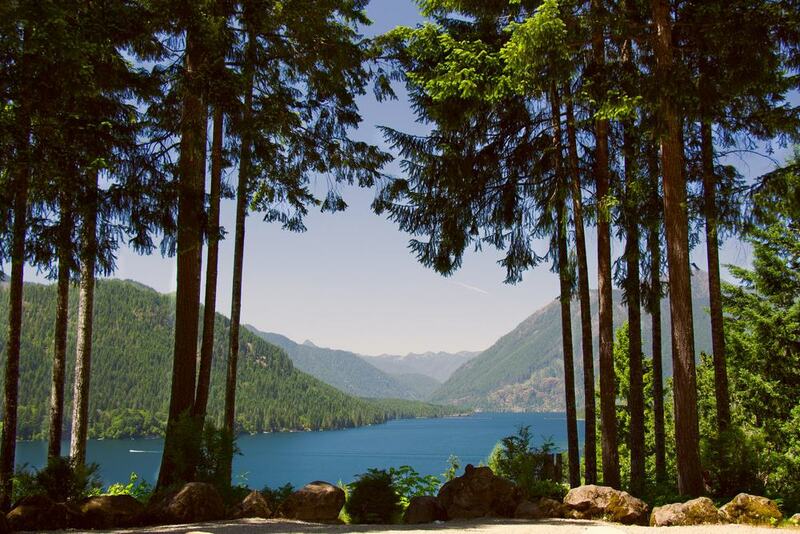 Lake Cushman is a popular recreational lake, with kayaking, boating, fishing and hiking being offered. It is also noted for its spectacular crystal clear blue water. The lake’s shoreline is dotted with resorts and cabins, making it easy to stay the night. There are also camping grounds for those that come with a motorhome or a tent.